Dreaming the Myth Onwards shows how a revised appreciation of myth can enrich our daily lives, our psychological awareness, and our human relationships. 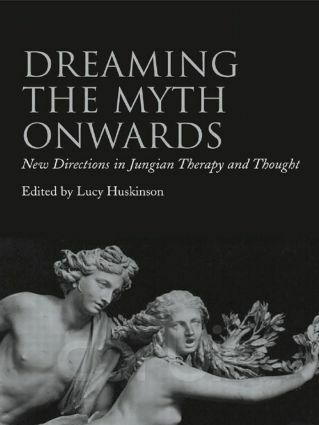 Lucy Huskinson and her contributors explore the interplay between myth, and Jungian thought and practice, demonstrating the philosophical and psychological principles that underlie our experience of psyche and world. Contributors from multi-disciplinary backgrounds throughout the world come together to assess the contemporary relevance of myth, in terms of its utility, its effectual position within Jungian theory and practice, and as a general approach for making sense of life. As well as examining the more conscious facets of myth, this volume discusses the unconscious psychodynamic "processes of myth", including active imagination, transference, and countertransference, to illustrate just how these mythic phenomena give meaning to Jungian theory and therapeutic experience. This rigorous and scholarly analysis showcases fresh readings of central Jungian concepts, updated in accordance with shifts in the cultural and epistemological concerns of contemporary Western consciousness. Dreaming the Myth Onwards will be essential reading for practicing analysts and academics in the field of the arts and social sciences.